The chaise lounges are all set up and ready for the sitting. You have a nice lunch set out at your chat height conversation set. You’re all set up poolside, right? No, not so fast! Not all decks and patios are shaded naturally, and even if they are, it’s sometimes impossible to get you and your comrades under the shade of a nearby tree. Supplement your outdoor living space with a patio umbrella! 11’ umbrellas are the largest umbrellas around, typically. It can shade up to a 60’’ to 72’’ table, or an arrangement of patio outdoor furniture. 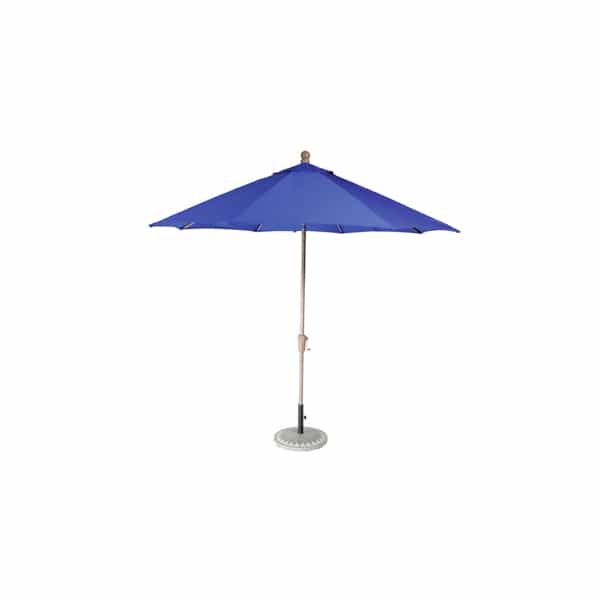 The 11’ Market Umbrella tilts, so it offers different shade angles. Stay with the sun as it rises and sets- read, engage in conversation, eat and be merry, all day long, and all without obstruction from the powerful rays of sunshine.